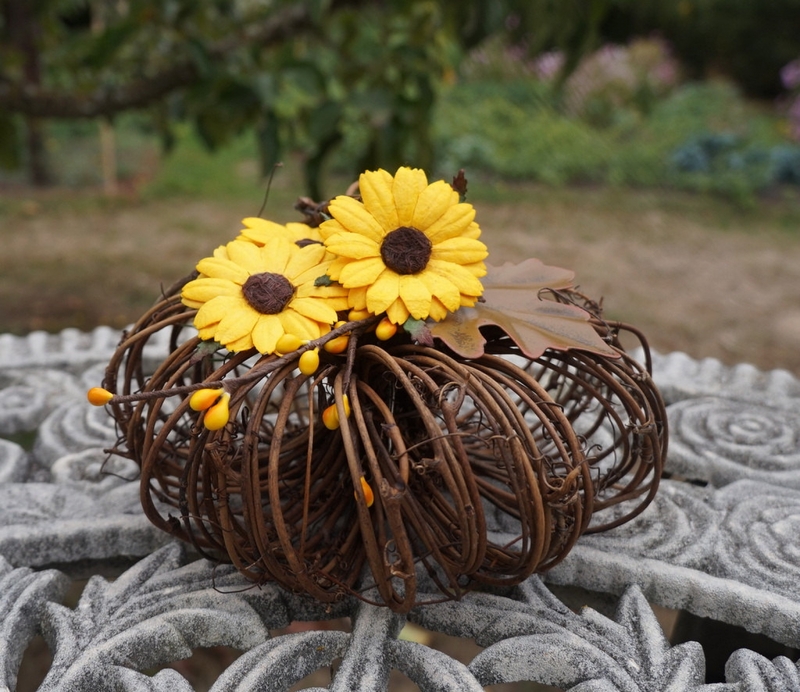 Get your charming Autumn wedding reception tables ready with this wonderful rustic pumpkin made from dried natural grapevine twigs. Decked in yellow pip berries and accented at the top with bright paper sunflowers. 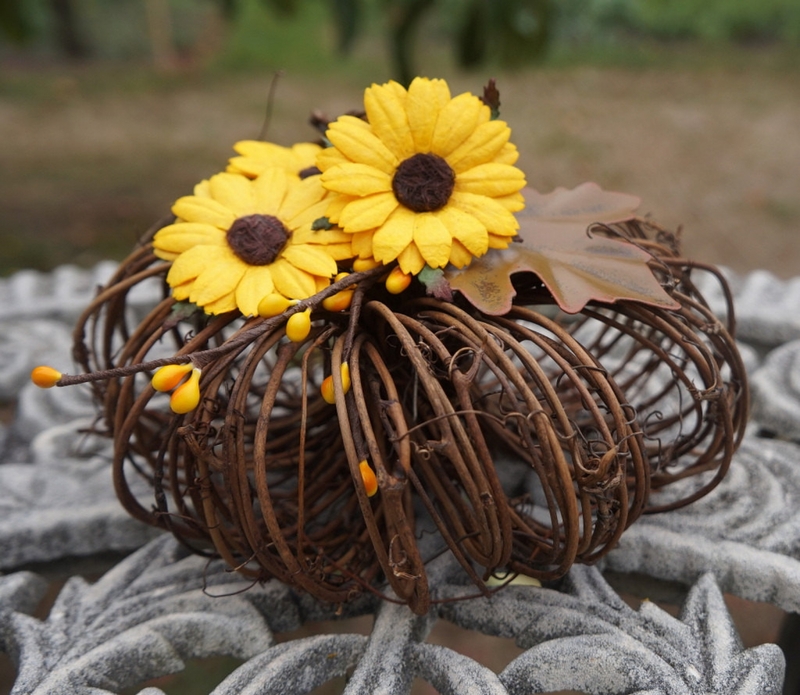 Beautiful addition to your Thanksgiving, Halloween and Harvest decorating or fall wedding decor.